If you’re considering or currently studying to become a CNA, you have chosen a great career field. Once you’ve managed to earn your CNA certification the next key step is finding a job. There are many websites out there to help you find CNA job openings near you at hospitals, home health agencies, nursing homes, and long term care facilities. However, it can be tedious to jump from site to site scouring their listings, so we simplified this process by creating a CNA job search engine that crawls the major job sites from one location. Go ahead and give it a try using the search box below. Type in the position you’re looking for along with a location and it will return results from all of the sites listed below the engine. If you find other sites that have helped you discover certified nursing assistant jobs at hospitals, nursing homes, or other medical facilities, please let us know and we’ll update our engine to include them. If you don’t wish to receive messaging, be sure to decline those notifications. However, we recommend you read them carefully as some of these communications may be helpful during your job search. 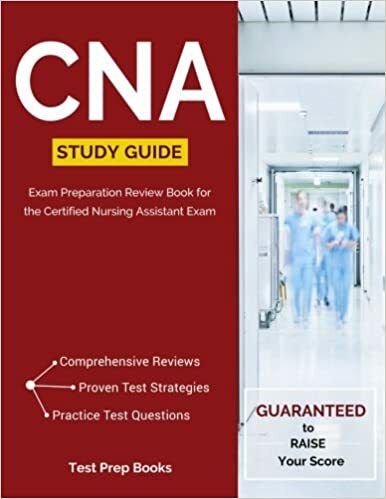 Have More CNA Job Search Questions? How can I find out if there are nursing homes near me hiring? Are there available CNA jobs in hospitals near me? What other CNA jobs are hiring near me? Adding parentheses “ “ around a phrase will force Google to return results that have the contained words on the page. With this search, Google will only return results from pages that have the exact phrases “Minneapolis, MN” and “nursing assistant” in the results, and then it will sort them based on the standard search term “jobs”. You can obviously tinker with the exact phrases, for example, swapping out “nursing assistant” for “CNA” might return some different results. Either way, these searches can help you turn up some jobs you otherwise might miss in your search. From hospitals to home care to skilled nursing facilities, many of these places have no shortage of positions needing to be filled for skilled CNAs. These are only a few of the most popular places CNAs look at when deciding where to work after training. There are certainly many more that are worth the research into. CNA hospital jobs are the most sought-after positions in the industry. In this job, CNAs don’t get to spend as much time with other patients as they would with nursing facilities or hospices. However, it is fast-paced and the duties vary depending on which department you apply for. The basics duties a CNA would have to perform still apply. A hospice CNA will provide palliative care to patients who are extremely ill and emotional support for family members. The duties required in this position include, but aren’t limited to the general care and wellbeing of the patient, keeping pain-relieving treatments and other medical treatments up-to-date, personal care of the patient, emotional support of the family, and housekeeping duties such as vacuuming and laundry. Since you are providing end-of-life care for patients in this field, this is not a position step into lightly. Most only work in hospice positions if they are truly called to it. For CNAs who are looking to get experience and work without direct supervision, this is a good position for that. Home health agencies send CNAs to patients who want to live at home or aren’t ready to go to a long-term care facility. They provide the daily care of the patient to help them avoid hospitalizations and even help them gain some independence again. Some duties involved are daily care and maintaining the wellbeing of the patient, light housework, and consistent documentation of the treatment and at-home medical care. Long-term care and nursing homes are the way most CNAs start out their careers. Many enjoy the ability to help care for the elderly and disabled. Working in a care facility also provides stability that other jobs can’t provide. Best of all, by law, the facility and government are required to reimburse you for your training. Basic duties and skills of a CNA still apply here, but working in a nursing home does provide variations to the duties including physical therapy, emotional support of the family, acute care, and advanced cardiac life support (ACLS). It’s a myth that CNAs only work in nursing homes and long-term facilities. Just from the list provided, you can see that CNAs can go pretty much anywhere in the healthcare industry. From nursing homes to hospice, to hospitals, CNAs are not only wanted, but they are needed. The variation in their skillset makes them invaluable to the ever-changing healthcare field. So if you were afraid of being stuck in one particular place as a CNA, don’t worry. You’ll be able to go anywhere within your chosen career field.